Pearl Equestrian is very excited to announce the expansion of our team once again! 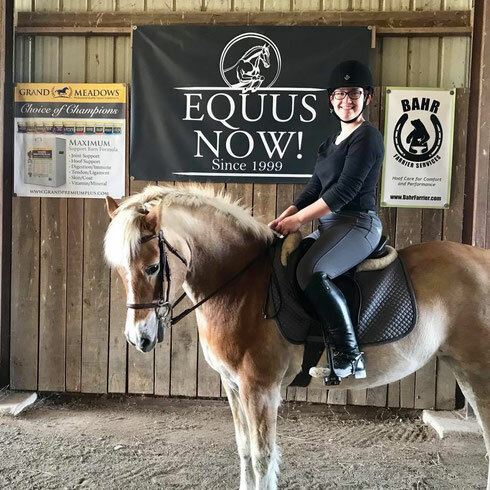 Elisabeth Husvar will now be available for beginner lessons at Pearl Equestrian! At Pearl, we believe in empowering girls and women to that they can reveal their full potential. Elisabeth came to us with teaching experience, and has fully embraced the Pearl Equestrian philosophy. Elisabeth is available for lessons Sunday - Thursdays at Pearl Equestrian. Book your first lesson now! Call or text 513-328-0635 to get started. 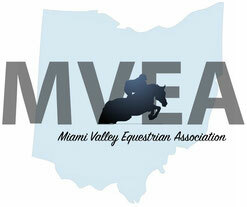 Last Friday, a new nonprofit organization, Miami Valley Equestrian Association, MVEA, was launched. Natalie is a founding member, sits on the Board of Directors, and is part of both the Marketing and Fundraising Committees. The MVEA is dedicated to promoting the sport of eventing and equine activities in the region, and Natalie wanted Pearl Equestrian and her students to be involved. As part of the initial focus the MVEA will work on reviving Twin Towers Horse Park back to its full potential as a venue for equine activities, especially eventing. Many people want to see this happen, and we want the horse community to join us! 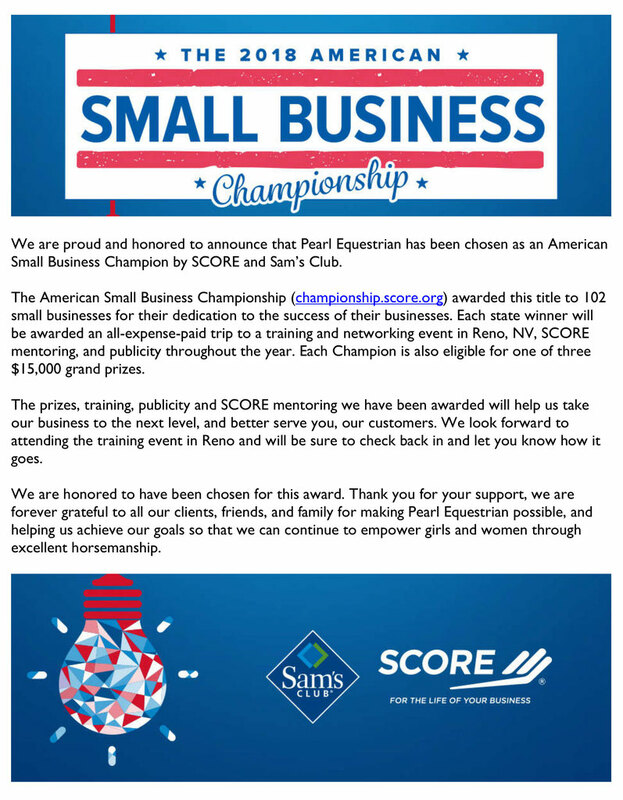 We want to get everyone involved! Please consider purchasing a membership to the Miami Valley Equestrian Association, and join Natalie, Pearl Eq, and others in this revival of Twin Towers, as well as participate in all the exciting activities such as shows, clinics, and educational events that will come from this. In addition to supporting a renewed Twin Towers Horse Park, membership will include discounted rates for our various events, year-end awards, scholarships, and other perks. The MVEA has plans to improve the Twin Towers cross-country course, including repairing existing elements, building new ones, and protecting the footing so it will be sustainable for continued use over the years. Just today, the Cross Country Comittee was at the park with four star eventer, Cathy Wieschoff, planning improvements to the cross country track. Attention will also be given to the dressage arenas, jump ring, and other aspects of the park to create an excellent venue for hosting clinics and shows. Your membership and participation will help us achieve these goals and strengthen the horse community in Ohio. As horse owners who boarded for a long time before running our own farm, we know what its like to wonder if your horse is actually receiving the care you’re paying for, or if things are getting missed. What’s worse, is when those mistakes are covered up or hidden from you. Horses are particularly fragile creatures. They require thorough and consistent care to remain healthy, and this is especially important with our competition horses, whom we expect to perform at their best in the show ring. We understand that boarding is expensive, and when you invest a lot of money into a service, you should know exactly what you’re paying for. That’s why we’ve created a daily log to track turnout, feed changes, exercise, hoof care, veterinary care if applicable, and more. Our management and staff update this log book throughout the day, and at the end of each week, it is reviewed by management and compiled into charts to be emailed out to each boarder. We know how busy life can be and want our owners to feel included in the care their horse is receiving no matter where they are in the world! This keeps the lines of communication open so that owners can feel comfortable and confident in the care we are providing their horses as well as ensure everyone is always on the same page. As mentioned earlier, we were once boarders too, and it is extremely frustrating when open conversation is discouraged by barn managers or owners. Pearl Equestrian is not that type of barn. We want to hear from our clients and we want our clients to know exactly what is going on with their horse. At Pearl Equestrian, keeping all our horses happy and healthy is a top priority, as well as providing great customer service. We know that our tracking and communication protocol will help us execute the best daily care, and ensure our boarders that their horse is in excellent hands. Turnout: Horses need to get out and stretch their legs and stimulate their brains every day. Turnout is important at Pearl Equestrian. Weather and footing will always be limiting factors when it comes to turnout, but at Pearl Eq we make sure each horse gets out every day – even on the holidays! We record when the horse was turned out, and when they came inside, as well as what type of environment they were turned out in: grass, or all weather. Hoof Care: We record what time the horse’s hooves are picked out every day. This usually corresponds to what time they are brought in from turnout. For us, picking hooves daily isn’t just about keeping your horses’ feet clean, it’s a routine that allows us to run a hand down each leg and potentially identify anything is out of the ordinary. We also track when your horse was seen by the farrier. Many elements can affect a horse’s hoof health and hoof growth – diet, exercise, age, and even time of year. Tracking farrier visits can be incredibly useful in evaluating any changes in hoof health and identifying what steps should be taken to ensure each horse is on a schedule and regiment that fits their unique needs. Feed and Nutrition: We take nutrition very seriously at Pearl Equestrian. We keep clear notes and feed schedules, and track any and every change that occurs in your horse’s diet. Any change in grain, hay, or supplements will be tracked in the log book and included in the weekly email update. Exercise: Its important to keep records on your horse’s work and exercise. If an issue ever arises with your horse, it could be crucial to be able to look back at his daily activities, including exercise, to help diagnose a problem. Horses need daily exercise to be happy and healthy, and we believe referencing your horse’s work regiment is a crucial part of managing their care. Veterinary Care: We are happy when our horses only see a vet for routine visits. However, we all know that sometimes injuries occur, and at Pearl Equestrian, you can feel 100% comfortable with us working with your vet to provide the best daily care for your equine partner, no matter what. We will follow the vet’s instructions and take daily notes throughout any problem, and keep you updated every step of the way. If your horse needs time off to recuperate or is ready to start back into work after time off, we can help you create and execute a plan that follows your vet’s recommendations. In a 2016 survey regarding equestrian facilities, 58% of people surveyed responded that knowledgeable and trustworthy staff is the #1 priority when selecting a boarding facility. At Pearl Equestrian, we also make this a #1 priority by implementing professional training techniques for all new staff, holding all workers accountable, and personally overseeing the care of each and every horse. We understand the need for organization and professionalism to maintain the high standards we hold at Pearl Equestrian. As business owner and head trainer, Natalie takes a very active role in the management and care of the Pearl Equestrian facility. She can often be found around the farm ensuring everything continues to run smoothly and is readily available to discuss the individual needs of each horse or any concerns that may arise. Turnout is essential to the physical and mental wellbeing of the horse. Movement encourages blood circulation which is beneficial to hoof and leg health. Fresh air and exercise is crucial to maintain good respiratory health. Consistent grazing is beneficial to the digestive tract as horses were designed for this type of nutrient consumption. Being herd animals, horses tend to benefit from time spent with companions - this can also help burn extra energy and reduce boredom - which aids in a horse's overall behavior and horse - no matter what their needs - has turnout. Fresh, clean hay that is free of dust and mold is crucial to equine health. Even quality hay comes in many varieties and not all horses require the same type of hay. The same can also be said when discussing types of grain being used. We acknowledge the unique requirements of individual horses and provide quality grass hay for all horses, supplemental alfalfa hay for those that require it, and a variety of Tribute feeds to ensure your horse receives the nutrition he or she needs to thrive. A clean, tidy barn is a safe barn. Keeping the stalls picked and aisles swept keeps the air fresh, the bugs down, and the horses healthier. Maintaining the property as a whole, provides a fun, safe, and stress-free environment for horses and their owners. We found that while boarding our own horses through the years - horse checks at many facilities were just walking through the barn and putting eyes on the horses. While this is useful, we have elected to take this a step further. We provide what we consider truly hands on care to every horse. We physically lay our hands on each horse every day - picking out feet and checking for injuries, swelling, heat, or anything else that is out of the ordinary for that specific horse. This attention to detail allows us to get to know each horse as an individual and notice when something isn't quite right. Following our philosophy for attention to detail, we track your horse's turnout, feed, medications, hoof care, and veterinary care throughout the week and send personalized weekly updates on how your horse is doing. We know how busy life can be and want our owners to feel included in the care their horse is receiving no matter where they are in the world! This keeps the lines of communication open so that owners can feel comfortable and confident in the care we are providing their horses as well as ensure everyone is always on the same page. What should your trainer be doing for you? Your trainer is the equine expert that you’ve hired to help you with your equestrian endeavors. But so many trainers are just showing up to teach, and then leaving. What about the rest? Who is helping you with that other stuff? Good trainers should be watching a horse’s body condition and help make suggestions on adjustments to nutrition. A horse should have soft lines – no pointy hips or shoulders, and a nice topline. You want to be able to feel the ribs but not see them. If the horse is developing fatty pockets, cut him back. Plenty of good roughage is the best nutrition for a horse, and balancing roughage and concentrates can be tricky. Ask your trainer. Trainers should help students form weekly conditioning schedules based on the goals and competition schedules of each client to ensure the horse is fit to do what’s being asked of him. Proper conditioning prevents exhaustion, poor performance, and injuries. Even dressage horses need to be conditioned! A trainer watches their client’s horse move more than anyone else. They should pay attention to any asymmetry, tightness, or discomfort in any of the horse’s gaits. They should help troubleshoot the issue, or recommend when the vet is needed. Horse and rider need to be structurally aligned to perform at their best. The work completed during training should be constantly moving towards symmetry and alignment. The horse should be aligned when unmounted, and during work, as should the rider. It is a long, tedious process to correct crookedness, but it is the responsibility of every trainer and rider to address this. It is unfair to ask a horse to move well if there is a lopsided rider on its back. A good trainer will question why you’re using a certain bit, or a certain training aid. They will assess the fit of the equipment and whether its function is appropriate for the horse. If a piece of tack is not safe, or if it is making the horse uncomfortable, a good trainer will bring it up, and help fix the issue. Sometimes the truth hurts. Nobody ever accomplished great things by being told they look good. A good trainer should be HONEST. However, it is also the trainer’s responsibility to know their students and can deliver criticism constructively. This means they communicate with every client differently. Some people appreciate the drill sergeant style of teaching, while others need things to be put in a more positive context. Good trainers know their clients and can adapt their teaching to optimize instruction with each student. Have thoughts on this topic? More to come on this subject, and I'd love to have your comments! Why the Change of Identity? I’ve spent the last few months thinking hard about where I want my career to take me. Having the opportunity to own a horse like Don has opened doors I never thought I’d have access to, and it’s made me realize that I was closing myself off from certain aspirations because I didn’t believe they were possible. Don coming into my life was a strange series of events, and it reinforces my belief that everything happens for a reason, and anything is possible. I want to help each of my students realize this as well. When you believe in yourself, you will reveal your potential. NCM Equestrian was version one of my business development. It was a functional brand. 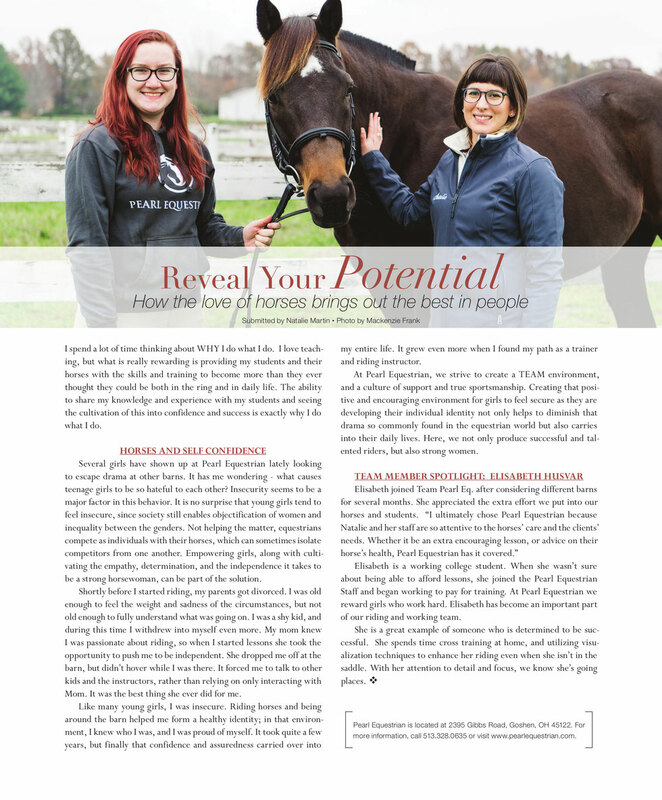 While functionality is important, I want to change the trainer-rider relationship, I want girls and their horses to be the best they can be, and I want the coaching business to be effortless for clients. Customer service is not good in the equine industry. Professionalism seems to be missing in parts of the horse world. Why should it be that way? This got me thinking about WHY I do what I do. I love teaching. I get to play with horses all day – and that’s great. But what’s really rewarding is seeing my students and their horses progress and become more than they ever thought they could be. You don’t need a $50,000k horse to be a successful rider – you need hard work, patience, and skills. Pearl Eq cultivates those three ingredients in each of its team members. Pearl Equestrian is the evolution of the equestrian experience. Pearl Eq promotes girl power, hard work, and pony love (of course). Most importantly, Pearl Eq provides the opportunity for each girl to be part of, and rely on, a TEAM. Join the Pearl Eq Team and see what’s next!